What to expect from Happy Bike Palma? An excellent service, bikes will be adapted for you, making of this experience a great one. And we will always offer you this with a smile. You may book online here (for Tours) and here ( to rent a bike). You can also call us on +34 691 04 57 11. You can also come to our Happy Bike Shop in c/ Illa de Xipre no.10A. We are open every day. We will attend you with our best smile. What do I need to book a bike? All you need is your ID or Passport and a Credit Card. But for us the most important is your willing to pedal ad discover our island. We are waiting for you…. don’t forget you can book online here. What selection of bikes do you have? 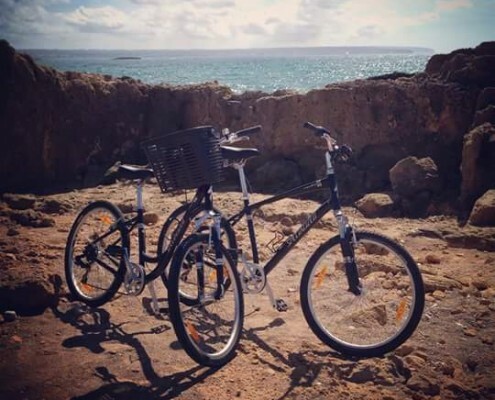 We offer a great variety of bikes and with different sizes, therefore adapting to your needs. We adapt the bikes for you. We want to take care of you and want you to enjoy while cycling around our marvellous city. 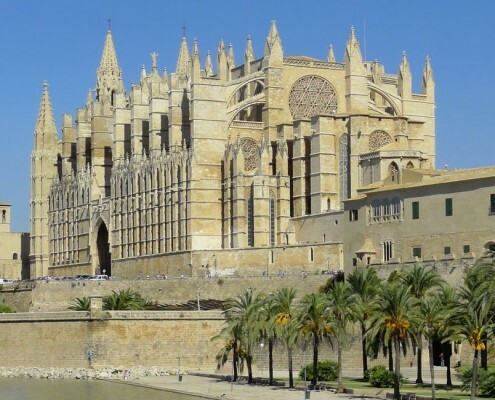 We offer a very interesting and fun Bike Tour in the center of Palma city. Our local guide will take you to the nicest and most historical sightseeing spots in town. Yes of course. We offer a tour every day at 15.30pm. We are willing to share with you this relaxing tour on two wheels. Our Bike Tour starts off in our Hapy Bike Shop located in c/Illa de Xipre no.10A Cuidad Jardín, Palma de Mallorca. We will meet 10 minutes before 15.30pm. We will have everything ready so that this experience it is an unforgettable one. Our Bike Tours are offered both in English and Spanish every day of the week. Whant to ride with us?